Although the core Final Fantasy XV game is Noctis’ story, Gladiolus’ small departure from the group in the main story made his character feel less complete compared to the other guys, until now. Episode Gladiolus finally gives Gladio and Cor the character development they need in the hour long strength testing journey. 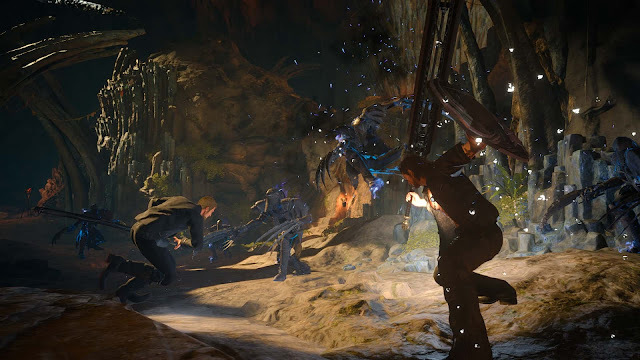 The Episode surprised me with the evident thought put into making Gladio's combat different to Noctis’ and switching from warps to brute force was a cool new way to tackle XV’s foes. With new story and fun challenges, Episode Gladiolus is a pretty decent experience that rounds out Final Fantasy XV's characters more and will likely be enjoyed most by those like myself who haven't moved on from XV yet. Gladiolus’ solo journey starts pretty much just after he breaks away from Noctis, Ignis and Prompto and takes place in a brand new dungeon. Gladiolus’ goal is to acquire more power to help him in his role as the King’s Shield by doing the Blademaster Gilgamesh’s challenge. He is accompanied into the special dungeon by Cor and must complete each trial to both prove and improve his strength. The path to the Blademaster is fairly direct, although there's a lot of conversation along the way between the two which fills in the gaps about the history of this quest and shows Gladiolus’ resolve. Gladio is likeable in his Episode, showing both strength and humility at the right times. The character I found the most interesting in Episode Gladiolus however ended up being Cor, a character I previously didn’t care much for at all. I always felt like I never learnt much about Cor in the main story, other than that he'd been through some stuff. 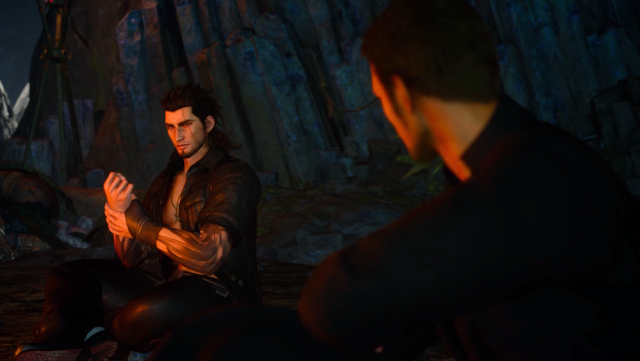 The conversations between Gladiolus and Cor tell interesting tales about Cor’s past and while Gladiolus is appropriately the star of this Episode, because I knew Gladiolus so well already from the main Final Fantasy XV story, the rounding out of Cor’s character was appreciated. While Episode Gladiolus’ story does manage to fill in that gap of when he leaves the party and gives more of Cor’s backstory, it doesn’t do much else. What you see is what you get with Episode Gladiolus and there isn't a lot of surprise outside of what was in trailers or already known about Episode Gladio or the character himself. Before going into Gladio's story, we know he had a struggle, became stronger after fighting a guy and came back and well, that's pretty close to what happens in Episode Gladiolus. There is Gilgamesh as an added point of interest and I did enjoy seeing him challenging Gladiolus’ resolve, but I almost wish they didn't announce him as the big boss because maybe this episode would've had that wow factor that I felt it was missing. I enjoyed the extra backstory added to underdeveloped characters as someone who is still into XV, I just wish it was as surprising as the other character Episodes seem (the extended and emotive Episode Prompto footage at the end of Episode Gladiolus being a good example of this). As much as I enjoyed it, it does make me wonder how appealing it would be for someone considering coming back to XV. Luckily, Episode Gladiolus is more than just story and what I was genuinely surprised about was how much I enjoyed playing and battling as Gladiolus. Compared to Noctis’ combat style of warping and multi-weapon wielding, Gladio uses punishing blows and an interesting Rage mechanic that raises damage based on the amount of successful shield blocks, all appropriate for the King’s Shield. Blocking was always apart of XV but with Gladio’s Rage multiplier, it felt much more involved. I found myself carefully trying to time my blocks to get my Rage up and unleash fully-charged super attacks with four times the damage stored up thanks to my Shield Blocking. On top of Gladio’s unique base combat style, he has some cool moves such as hitting enemies with pillars and jumping on huge enemies heads to do some cool-looking big attacks. Gladio's more involved combat style is such a refreshing take on Final Fantasy XV's already good action combat and is easily the highlight of my Episode Gladiolus experience. Episode Gladiolus’ gameplay is also interesting in the way it plays with JRPG mechanics. Instead of leveling, the completion of trials is rewarded with special stronger attacks, which are needed because you don't have the same access to items and shops as you do in the core game. There are also two special challenges in Episode Gladiolus, including the Score Attack mode which allows you to fight the trials for points, and also a special Final Trial mode. These modes are a fun way to play more with Gladio’s fun combat and considering the story of Episode Gladiolus can be completed in an hour or so, the added value from the mini-games is appreciated. Episode Gladiolus might not go very far beyond what it offers in its trailer, but the added character development and fantastic new take on XV’s battle system were things I really appreciated from it. I left the experience feeling like I understood Cor and Gladiolus a little better and thoroughly enjoyed hitting enemies with pillars and unleashing my inner King’s Shield rage. While Episode Gladiolus’ story didn’t have the wow factor I was hoping for, it’s given me a lot of hope for the next few Episodes and how their own individual combat styles and more mysterious seeming stories will pan out. But for now, Episode Gladiolus is a nice start to the deeper look at Final Fantasy XV’s story and was enjoyable enough for a Final Fantasy XV addict like me. Really didn’t expect to love the combat as much as I do. Having urges to go back and play Score Attack. 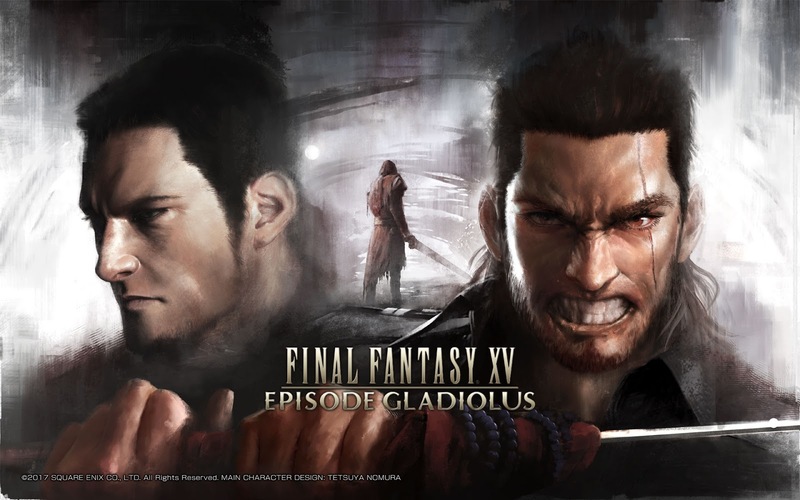 Episode Gladiolus is available as paid DLC for Final Fantasy XV on the PSN and the Microsoft Store. It is also included in the Final Fantasy XV season pass. Will you play Episode Gladiolus? If you have, what did you think of it?